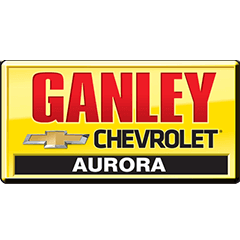 Welcome to Ganley Chevrolet, where car shoppers in the area of Brook Park and Aurora, Ohio can view an exciting inventory of Chevrolet vehicles. With hundreds of new Chevrolets at our two Ganley Chevrolet locations, you are sure to find a competitive price on the precise Chevy car, truck, or SUV you've been needing. While you are here on our website, select the Ganley Chevrolet dealership of your choice, then browse our fully-loaded new vehicle inventory. We offer two full-service dealerships where you can request automotive financing, schedule repair service appointment or shop for genuine Chevrolet parts for your vehicle. Ganley Chevrolet is home to a vast selection of quality new and used Chevrolet vehicles for sale. We have the brand new Chevrolet Tahoe at Ganley Chevrolet West or Ganley Chevrolet Aurora. Our two Chevrolet dealerships are also proud to offer the new Chevrolet Camero and Chevrolet Impala. So, buy the Chevrolet you're looking for at Ganley Chevrolet Brook Park in Brook Park or Ganley Chevrolet West in Aurora, OH. Ganley Chevrolet West is also the dealership to choose when you want to road test an exciting new Chevrolet Corvette or be nimble in traffic behind the wheel of a Chevrolet Spark. Our dealership locations in Ohio employs a knowledgeable team of friendly sales specialists who are excited to help local car buyers find their ideal Chevrolet. At both of our two dealership locations you will find an exciting selection of pre-owned Chevrolets. Ganley Chevrolet of Brook Park offers a complete inventory of used cars, trucks, SUVs and Hybrids that have all gone through our thorough multi-point inspection test to ensure enjoyment and reliability. Stroll our lot to find the Used Chevrolet F150 that you want to test drive. Then you'll be certain it will meet your hauling needs. Take home a pre-owned truck from our supply in Brook Park, Ohio now. You will find the pre-owned Chevrolet you need at a price you can afford. Each of our dealerships in Brook Park and Aurora, OH, staff finance associates who assist drivers of all credit scores. Even those people who are in need of bad credit financing. To apply at one of our dealerships, just fill out a secure online credit application and be pre-approved today. The Service Department at either of our two Ganley Chevrolet dealerships can supply you with accurate diagnosis and quick repair service for your vehicle. From oil changes to transmission jobs and new brake pads and rotors to battery tests, our technicians do it all. Find the genuine Chevrolet parts you need for your Chevrolet Vehicle in our parts departments and get back on the road.